This animation tried to be as realistic as possible to demonstrate the role of the auxiliary system of cold start (choke) in the carburetor. A butterfly at the main entrance of air, which closes when the engine is cold, and the throttle, which opens slightly by the action of a mechanism, are the main parts of this system. During the start, with the throttle butterfly closed and the throttle slightly open, the vacuum generated by the engine, driven by the starter motor, creates a severe depression in the carburetor body, below the throttle butterfly. The tank is connected by a vent on the top of the throttle butterfly, the pressure difference causes the carburetor jetting fuel supply systems, forming a very rich mixture which facilitates starting. 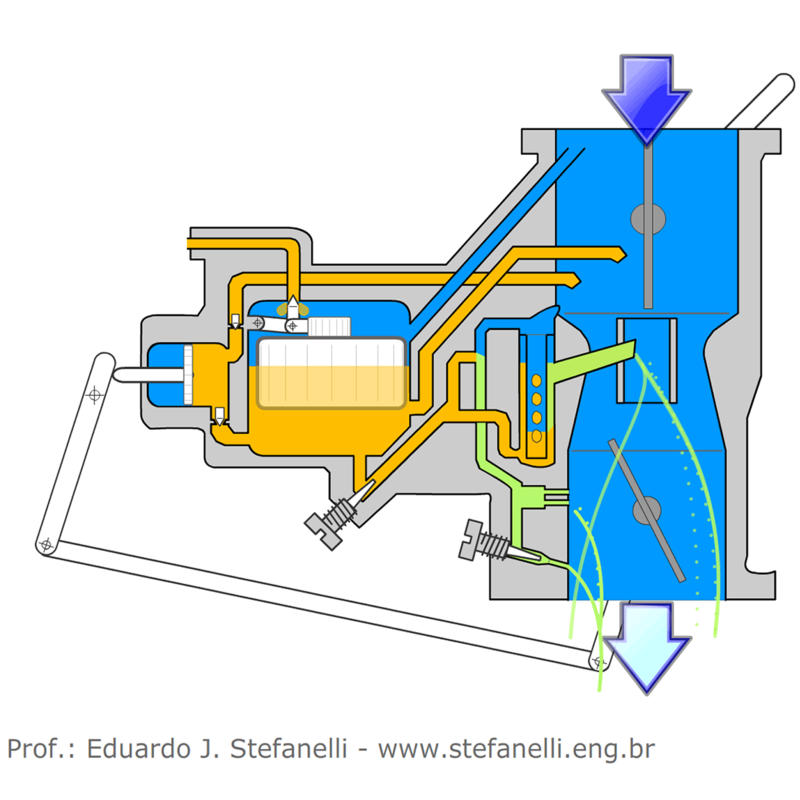 After starting the engine needs more air than the butterfly closed throttle allows to pass, then it slightly open which causes the depletion of the mixture and the engine operating continuity. With its engine operation begins to heat up, the butterfly choke opens gradually, allowing normal supply mix in the various engine operating ranges.